What is your organization’s philosophy about design and development? 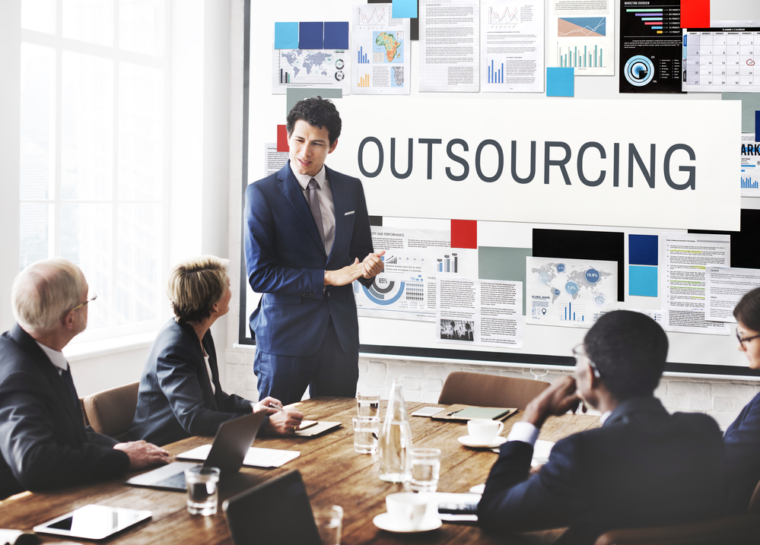 Do you keep everything in-house, or do you outsource as needed? There are two schools of thoughts on this. By keeping the design process in-house, a company can build a sense of continuity and cohesion that links the entire family of products together in a satisfying way. Or you can outsource as needed, hiring talent for specific products and moving on once that product is complete. Neither is right or wrong; the more important point is to have a rationale for whichever strategy you choose, and to extract the most value from it. Look at a company like Herman Miller. Their Aeron chair is an iconic design for the technological age, but it wasn’t designed internally. Instead, Herman Miller outsourced the design to leading designers that have their own firms. The famous husband-and-wife team Charles and Ray Eames designed the classic 1950s Eames chair the same way. The point is that Herman Miller knows what their strengths are: manufacturing and distributing the final product. They also have a huge amount of practical expertise. For instance, they have experts in ergonomics, the less obvious details that are critical to the overall comfort and practicality of a product (e.g., the way a chair distributes the body heat generated by the user). They share this very specialized knowledge with designers, and then throw the company’s expertise into selling the final piece of furniture. Herman Miller has a very different idea of where design, research, and development should take place. Herman Miller has adopted the philosophy that it’s more important to ensure that the best and brightest are working on your product, and that this is a higher priority than making sure the work is done in-house. Also, think back to the DreamScreen project I mentioned in chapter 6. When we began that project, we were very clear that we were going to make it specifically for India. So why would you design it in the United States? If you’re going to design a product for a specific market, then you need to throw out the rules of how it’s been done in the past and do the R&D closer to the customer. So, we sent a team to India, interviewed 2,600 customers, and drove the R&D from there. Sometimes you have to put your resources in the right place to get the right results. You need to be aware of the fact that your team will have gaps in their life experience, their beliefs, and their focus. This may not matter in 99 percent of the projects you assign them, but there will be times where these gaps are a problem. Consider the possibility that you need to look outside your walls to find the right brains for specific tasks. You aren’t going to have 100 percent of the resources you need inside your organization; it’s just too costly to keep these highly specialized people on the bench until you need them. If you are an employee in one of these specialized departments, you need to be aware of how this shift is going to change your value to your organization. If you believe there’s a coming transition to the creative economy, then your future worth and career is dependent on your ability to come up with ideas for a number of companies rather than just one. As soon as you go dry, you are out of luck. Another element of this Killer Question that you need to consider is the concept of open innovation, which has been a hot topic for the last few years. Open innovation is the approach where organizations go outside to secure a “funnel” of ideas. One example is companies who partner with state universities to leverage government-funded research, or companies who sponsor promising high school students in the hope that they will join their workforce after graduation. The US government is using programs like TopCoder to create open-source idea channels. Companies like Procter & Gamble post tough engineering problems on dedicated websites and offer prizes for the first person to come up with a solution. How does this affect you and your business? No matter what size your organization is, you have to recognize the importance of embracing the open-innovation concept as you source your ideas. One of the challenges with innovation today is that many people believe that high-impact innovation comes from large companies. However, the US Small Business Administration reports that while small firms are granted only 8 percent of all patents, they receive 24 percent of all patents issued in the top-100 emerging technologies. So the source for ideas in the new and emerging areas is strongly influenced by start-ups. Patents issued to small businesses are not broad, generic patents, but are focused on specific innovations and have the biggest scope and the highest return. It’s why you see so many examples of large companies acquiring these young innovative start-ups that are focused on a very specific area that is of interest to them. This means that large companies are looking for sources of innovation outside of their four walls, and they realize that they need to be part of what others are doing, either by partnering with innovative start-ups, acquiring them, or investing in them. Procter & Gamble has a stated target that 50 percent of their innovations need to come from outside the company, which forces their people to seek out others who are doing interesting stuff, not just to rely on what’s happening at home. Innovation used to be all about confidentiality, funding your own research and development. The future is different. This shift from the knowledge economy to the creative economy requires that organizations think differently about their funnel of innovations. The fundamental value in the new economy is ideas, and ideas can come from anywhere. You don’t need machinery or a lot of capital to have ideas. The creative economy relies on the individual ability to come up with ideas that are interesting and compelling. The sourcing of those ideas can come from anywhere, and you need to recognize that there are really, really smart people all over the world. In order to stay in the game, you have to be on the constant lookout for where that next great idea is going to come from. Because even if you aren’t looking for it, I can guarantee that your competitors are.